Kaboo Casino Review 2019 | Why should YOU choose this casino? 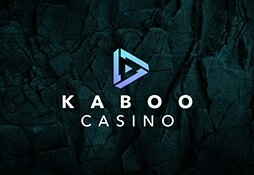 Kaboo Casino is one of the new breed of fantastic new casinos which are shaking up the old guard. Many of these upstarts are based in Malta, and Kaboo Casino is no different. This online casino is set in a weird alien landscape and offers to blast you off to a whole new universe of gaming. When you enter the site you are told that ‘Kaboo is the place you come to when you’re looking for that something extra.’ That ‘extra something’ comes in the form of an ingenious rewards scheme which has a fun gaming element to it rather that the staid and traditional model. With Kaboo Casino you must complete Missions – play a particular game, or complete a certain amount of games (for example) – and you are rewarded with gifts known as ‘Relics’. It’s a lot more fun than grinding up different reward scheme levels that are difficult to understand. Kaboo Casino is operated by a group called Betit Operations Limited, which is based in Malta. This company already has experience of what it takes to run a successful casino, as they are the brains behind SuperLenny and Thrills. Kaboo continues on this quirky assault on the traditional gaming market. There is a huge selection of games – more than 800 in fact – available at this space-aged online casino. The site came into being in 2015 and this is definitely reflected in its fresh approach to online gaming. Licensed in the UK and Malta, this site is trying to appeal to a young European audience and its innovative design will enable it to do just that. The Kaboo Welcome Bonus consists of two deposit bonuses, and is pretty clear and straight forward. For each of the first two deposits you make you can receive a matching bonus of up to £/$/€100 plus 50 free spins. That makes a total of £/$/€200 and 100 free spins, and the good thing is that these spins can be used on any slot, although their equivalent value is just ten cents each. In order to withdraw your funds you must meet a wagering requirement of 30 times the bonus plus your deposit, basically x60 the bonus amount. That it is a steep requirement of £/$/€12,000 if you get the maximum bonus, which takes the lustre off of this particular welcome bonus offer. The rewards scheme is more fun, as you can complete Missions to earn ‘Relics’ (formerly called ‘Echoes’). These are prizes such as free spins and they are a great way to get players to check out different games in this casino universe. The standard payment methods are available here at Kaboo Casino. That means you will have the option to use MasterCard and Visa for deposits, although only Visa will allow withdrawals except for some banks in the UK and select parts of Europe. If debit or credit cards don’t suit your needs, then you can try an electronic wallet like Skrill or Neteller, which operate in the same way as PayPal. These methods are among the quickest and easiest for funding online accounts, so are highly recommended. You can also use the voucher system offered by Paysafecard, as well as bank transfers. When it comes to currencies, you can choose between Euros, Norwegian Krone, Swedish Krona, AUD and USD. There truly is a fantastic selection of games available at Kaboo Casino. In fact there are more than 800 games to choose from, a mixture of slot games and traditional casino table games. This includes a well-stocked live casino for fans of traditional gaming. Think of some of the biggest game developers in the world, and chances are you will find their games here. That means we are talking about Microgaming, NetEnt, NextGen, Nyx Interactive, Play’n GO, Playtech, Quickspin and WMS, to name just some of the options available. The Missions encourage you to sample a variety of different games, so its a great way to discover your new favourite slot game. Plus when you earn free spins you can choose where to use them, which is less restrictive than in many online casinos. It is very easy to get in contact with the team at Kaboo. Simply click on the Contact Us button and you can start live chatting with a helpful and knowledgeable member of the support staff. If you prefer to email, that is also an option, and this can be useful when you want to send screenshots or document scans. In the past there was no option to phone this casino, but they have remedied this now, so you can get in touch in whichever way is easiest for you. There’s also a nice FAQ section to answer some of the most common queries, meaning you may not need any further advice to answer your questions. Kaboo Casino is a feast for the eyes, visually a truly stunning online casino. It is clear that the operators have got experience in the gaming industry, and they have used this experience to good effect. We love the quantity and variety of games on offer here, as well as the innovative rewards system. The bonus wagering requirement is a little too high to be good value, and that is the principal criticism you can level at this casino. Otherwise it scores high marks in just about every category, and will launch you into an exciting world of real money gaming.